Ships tomorrow if you order in the next 20 hours 48 minutes. 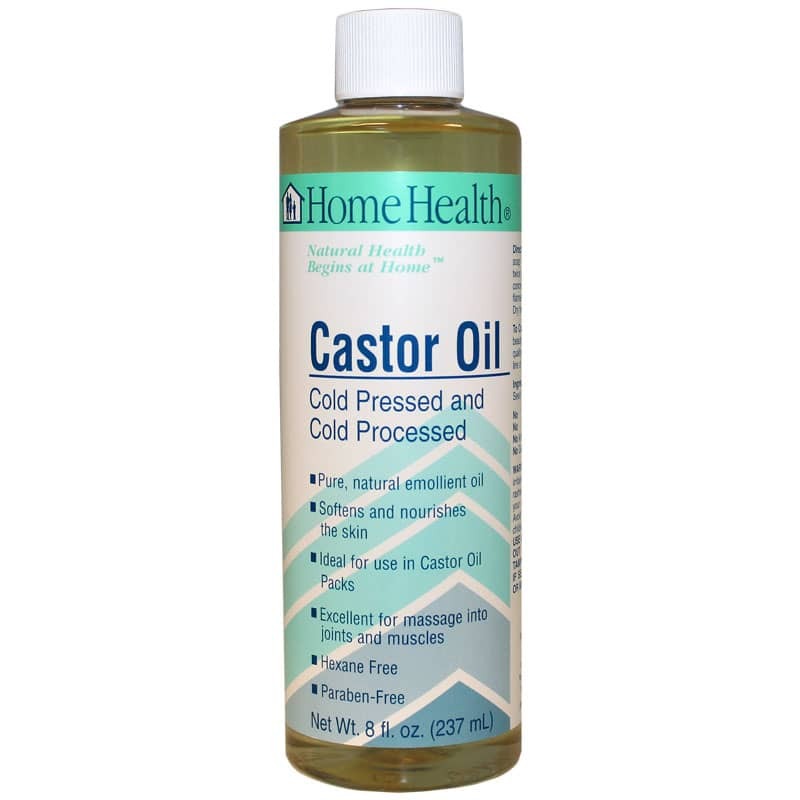 Get soft, supple skin naturally when you use Castor Oil from Home Health. This cold-pressed and cold-processed oil from castor seeds nourishes your skin while providing moisture that soothes. 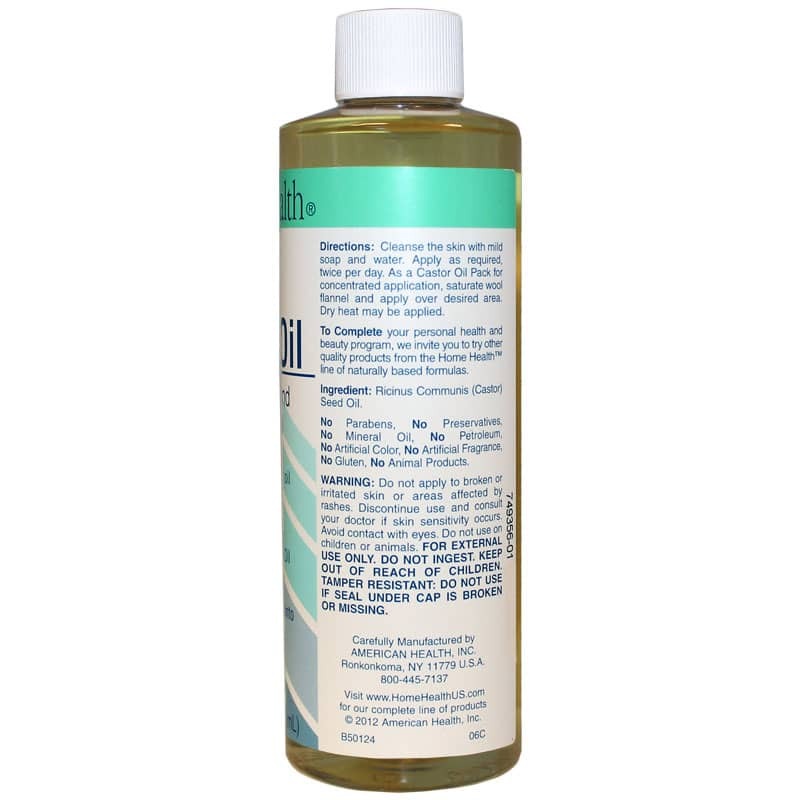 It's ideal for use with a wool-flannel castor oil pack for more concentrated application. Castor oil is a great choice for massaging into sore muscles and achy joints. It can also be applied to typical skin disorders like planter's warts, cysts and corns to help soften the blemishes. Castor oil should not be used on open skin irritations or rashes. Heat may be applied when using a castor oil pack to enhance absorption, allowing the oil to pass on benefits to your body. Discover the difference of skin conditioned with this natural product. Order Castor Oil from Home Health right now! Contains NO: Parabens, Preservatives, Mineral Oil, Petroleum, Artificial Color, Artificial Fragrance, Gluten, Animal Products. Do not apply to broken or irritated skin or areas affected by rashes. Discontinue use and consult your doctor if skin sensitivity occurs. Avoid contact with eyes. Do not use on children or animals. For external use only. Avoid contact with eyes. I am pleased to inform you that I appreciate your professionalism and the timely expedition of the products I ordered. I look forward to doing further business with you in the future. Thank you again. I've been using this oil for about a month and see some promising results. I'm very thankful for this product and I like the fact that it's paraben free. It's really thick and has a nutty smell, but it's great. I ordered this because it was the cheapest price I could find and the cheapest shipping. It arrived quickly and packaged nicely - even came with a free pen and business card! The product itself has made my face feel incredible! I have less irritation, smoother and softer feeling skin, and its never dry! Wonderful product and company! This is the only brand of Caster Oil I use. It has many uses, and is always great quality.